The Engineering Nonlinearity EPSRC programme grant will end in September this year. Project partners and friends gathered on July 3rd and 4th for a final showcase event at the Diamond, University of Sheffield. Group photo at ENL showcase event in Sheffield. I was invited as an ‘Early-Career’ keynote speaker. In my talk, I discussed how control-based continuation (CBC) has allowed to make significant strides in the development of nonlinear modal testing and how open challenges in nonlinear modal testing will drive some of the future developments of CBC. The slides of my talk are available upon request. 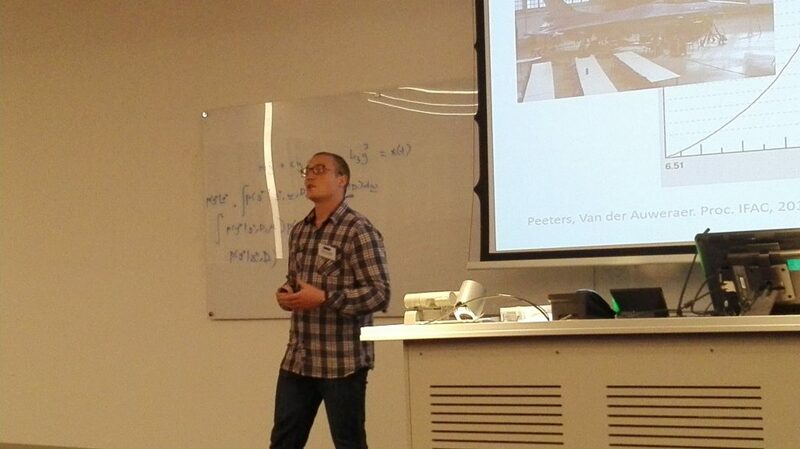 Me discussing nonlinear modal testing and control-based continuation. On this occasion, I also performed a live demonstration of control-based continuation. The tested system consisted of a cantilever beam with two springs at its tip, providing geometric nonlinearity. The first two natural frequencies of the system were tailored to have a ratio close to 3, which led to strong interactions between the modes and interesting dynamics such as isolated response curves. 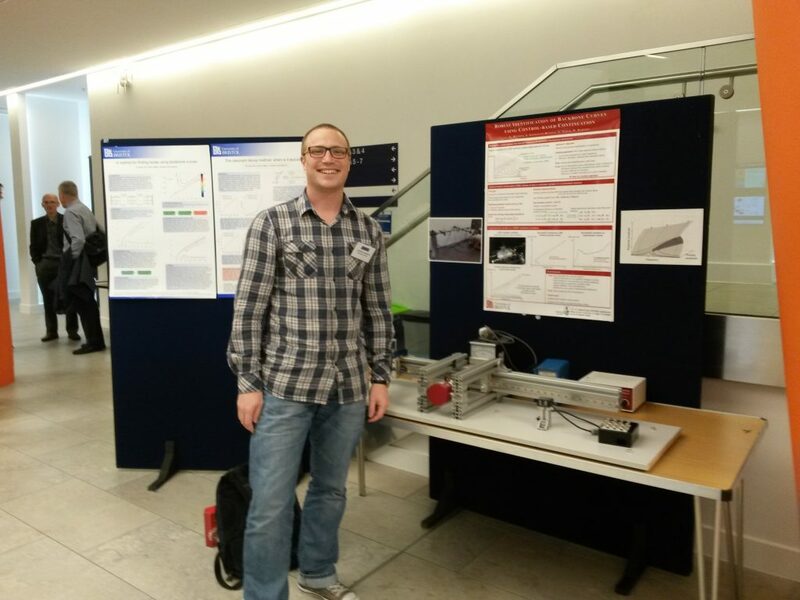 Me presenting the control-based continuation demonstrator at the ENL showcase event.